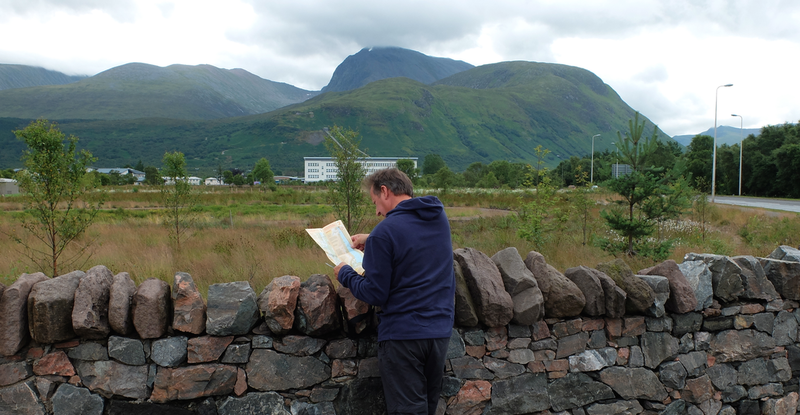 After a good night’s sleep at Nevis Bank Inn, Walter and I buy some sandwiches and water at a petrol station, walk from the centre of Fort William to Banavie and get on the path to Gairlochy. Today, we plan to walk 23km. We are walking next to the Caledonian Canal. Our route is clear. We follow the canal and climb gently up hill. There are eight locks here, places for raising or lowering boats. This section is called Neptune’s Staircase. At Moy Bridge, we stop and rest. Farmers use this bridge to cross from one side of the canal to the other. It isn’t mechanised, so a gate keeper must open and close it manually. Around us, there are many beautiful tress: Scot’s pine, birch, alder and beech to name a few. 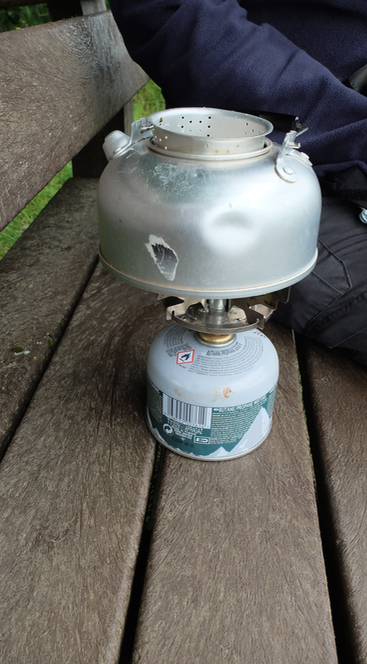 Walter boils some tea on his gas stove. Although it is summer, it is surprisingly cold. Our accommodation is in Spean Bridge, six kilometres from Gairlochy. 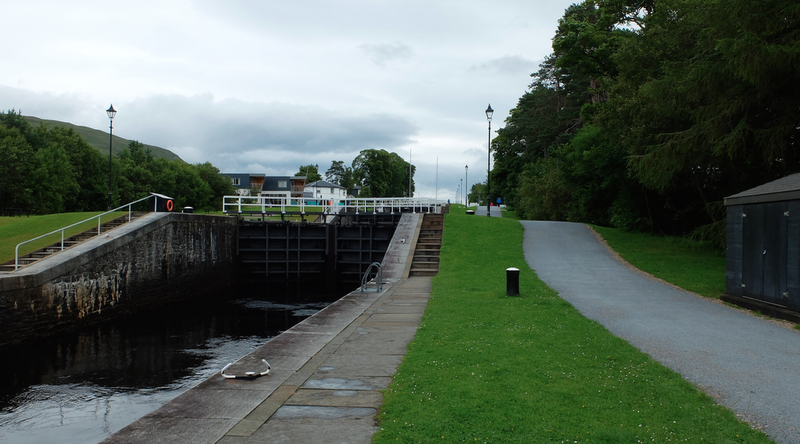 We leave the Caledonian Canal and begin walking along a quiet road, the B8004. 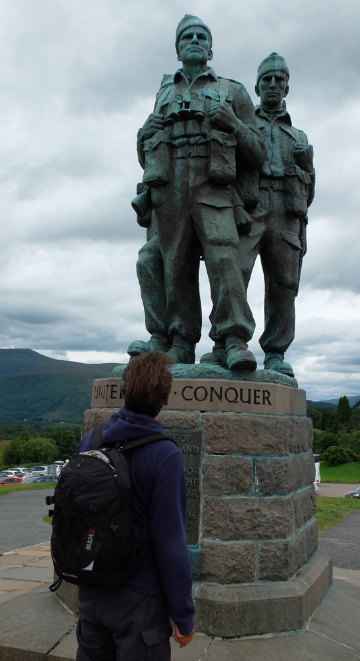 On the way, we pass Mucomir power station and the Commando Memorial. Many soldiers trained in this area of Scotland during World War Two. The main road to Spean Bridge is noisy. We decide not to follow it. Instead, we choose a forest path. It leads us to our next stop for the night, Riverside Lodge in Spean Bridge. When we arrive, we are tired. But the first walking day is over, and we don’t have blisters. That night, we treat ourselves to a three-course meal at The Old Pines restaurant, which was very good. Colin, a retired fire officer who owns the Riverside Lodge, drops us there in his car and we walk back with dark rain clouds above us. We make it back to Riverside lodge just in time. A short while later, the rain comes pouring down.